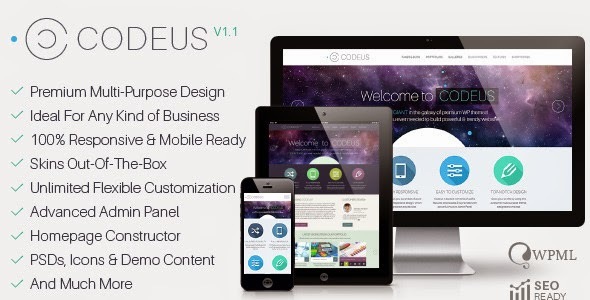 Codeus is a multipurpose WP theme that is suitable for various websites whether it is an ecommerce, business, real estate, company, agencies etc. It is a responsive theme and only with the help of this feature your website will look overwhelming on several screen resolution devices like Smartphone’s, tablets and iPhones as well. You can also customize the theme as per your requirement. Try it now.